Rumors have been circulating around Bemidji State University about the women’s hockey team relocating to the John S. Glas Fieldhouse. The John S. Glas Fieldhouse was home to the BSU men and women’s hockey teams for 43 years, and in 2010, the Sanford Center gave the Beavers a new place to call home. The Sanford Center is currently home to the BSU Men and Women’s hockey teams. Photo by Allison Hoeft. Recently, students have speculated the possibility of moving the BSU women’s hockey team back to campus, with the men’s team to follow shortly down the road. Executive Director of the Sanford Center Jeff Kossow said that possible causes for this rumor are decreases in ticket sales, investments in group sales, televised home games and season ticket holders, which all play a role in the lower attendance. “We plan on becoming more engaged with BSU in the upcoming 2017-2018 season,” said Kossow. The Sanford Center is working with the teams to create loyalty programs, discounts for certain games and promotions for next the season. 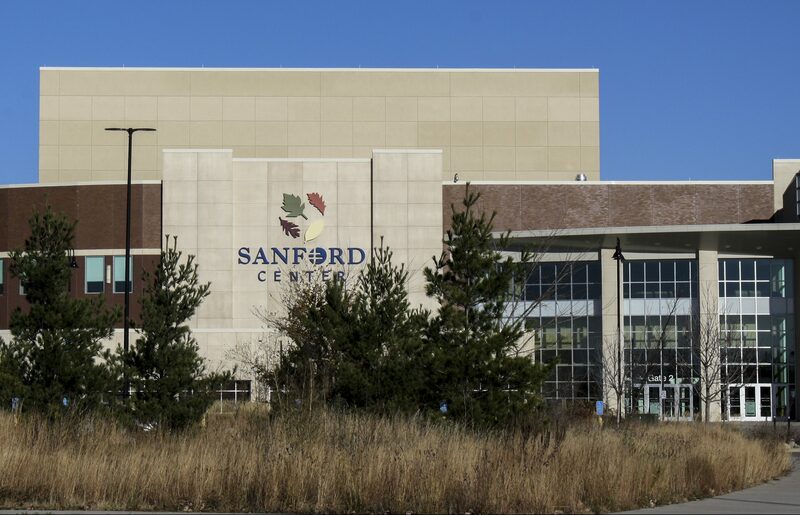 While the Sanford Center was built primarily for BSU hockey, it also hosts concerts, wedding receptions, expos, conventions, meetings, rodeos and graduation ceremonies. Although the John Glas is no longer a part of the BSU hockey teams, it plays a huge role in the success of Bemidji State athletics. Athletic teams now use it to lift, condition, and practice.